Earl Luk was at the top of his game as it would be an all British Columbia final, as Richmond LBC’s Luk would face West Vancouver club member, Jim Duholke in a rematch of the Provincial Quarters. The winner of this game would head to Adelaide, in South Australia next September to represent Canada at the World Singles Championships. 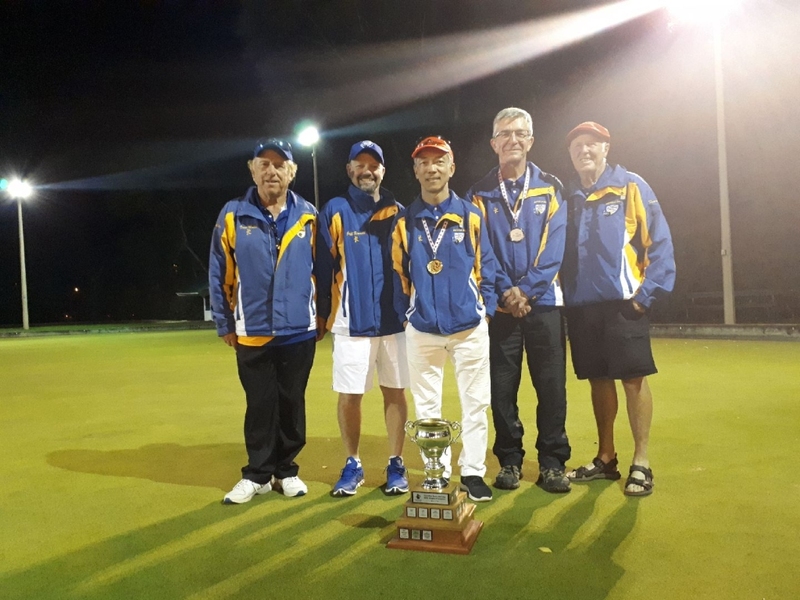 After a gruelling few days at the Regina Lawn Bowling Club the Quarter Finals would take place as action heated up right off the bat with Qualifiers taking place early on to determine the final spots for the playoffs. BC had 4 Women and 4 Men taking the stage with the new format in place at the Canadian Singles. In the Women’s division it was Lisa Cheung who would cruise through her pool with a 4-1 record to sit second in her section. While Sarina Mak fresh off her Gold Medal would finish with a 3-2 record, Gigi Chan at 2-3 and Rainbow Leung would finish her round robin missing the playoffs at 1-4. Lisa would move to the playoffs where should would eventually lose her Quarter Final match. 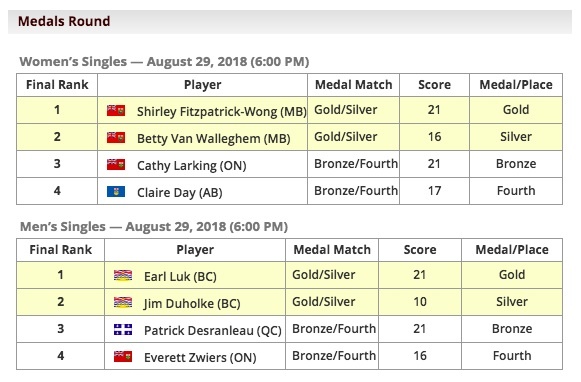 In an all Manitoba final it was Shirley Fitzpatrick-Wong that would take home the Gold Medal with a win over Betty Van Wallegham in a great final. Cathy Larking from Ontario would win the Bronze. On the Men’s side, it was the story of the Round Robin really, as the BC Men would be a force to recon with. Jim Duholke, Earl Luk and Christie Graham would all finish at the top of the table, with Jeff Birrell just missing out with a 2-3 record in his section. With Jim and Earl winning their Quarter Final matches and Christie just missing out in the playoffs, it would see both BC Men moving on in the top and bottom half of the draw, setting up the possibility of an all BC Final. Earl would cruise through his Semi Final game vs Patrick Desranleau from Quebec getting off the greens quickly, where Jimmy would be in a dog fight against Evertt Zwiers of Ontario. The match that would go down to the wire with Duholke eventually taking it 21-20. 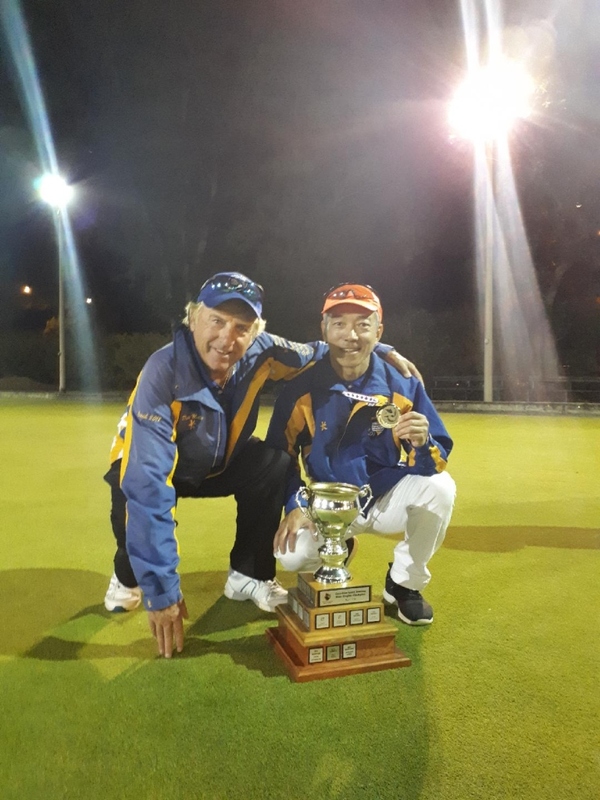 In the Gold Medal game, it was evident that Duholke was tired after his marathon semi final match, and Earl Luk would capitalize on it, jumping out to a commanding 7-1 lead and never really looked back. Trying to stay in at 20-6, Duholke would take it back to 20-10 before Luk would shut the door with a drive to end the game and winning the final 21-10 to take the Gold. Quebec’s Desranleau would eventually take home the Bronze. Congratulations to all the competitors at this years Canadian Singles Championships. It was a terrific showing with some great results. A special thank you to all the volunteers that made the event a memorable one at the Regina Lawn Bowling Club. A huge thank you to Manager David Mathie who has been with the Team throughout the past week, along with traveling to Winnipeg to Coach the Juniors. We were well represented during the Tournament as Head Umpire George Cubiss along with Annie Mathie and Chester Cheung did us all proud on the greens.